Are you looking for GSSSB Recruitment 2019? If yes, there is news for you. Gujarat Subordinate Service Selection Board has released notification for Supervisor Instructor Vacancies. There are 2367 Vacancies are available for GSSB Jobs 2019. The Registration process will be started on 12 March 2019. Interested aspirants may fill up their application form before 11 April 2019. The Department will charge only Rs. 100/- as an application fee to all category candidates. Candidates should read below article carefully for furthermore details about Supervisor Instructor Posts. Academic Qualification: 10th standard Pass from recognizing board. Technical Qualification: Engineering Degree or Diploma in a relevant subject. 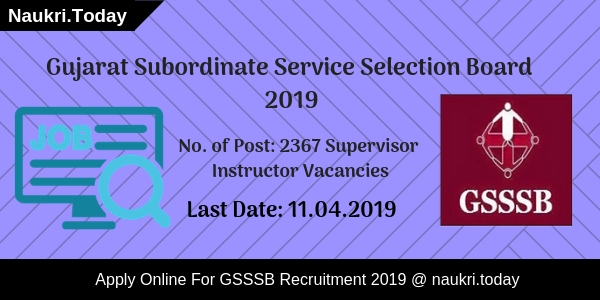 Selection Process for GSSSB Supervisor Instructor Vacancy 2019 must check official notification carefully for selection criteria details. 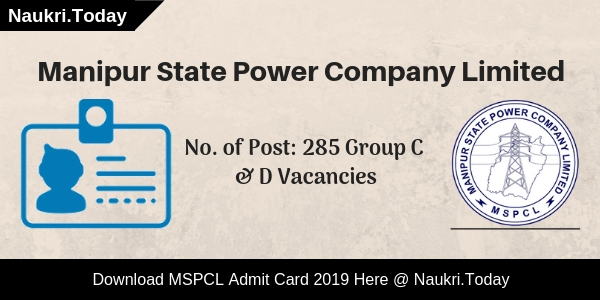 What is The PayScale For Gujarat SSSB Supervisor Instructor Jobs 2019? Candidates who get selected will get Rs. 5200/- to Rs. 20200/- with Grade Pay of Rs. 2800/- for GSSSB Jobs 2019. Applicants may download Gujarat SSSB Notification 2019 from links given here. How To Apply For GSSSB Vacancy 2019? Candidates should log on to the official website of Gujarat SSSB i.e ojas.gujarat.gov.in. After that search for GSSSB Recruitment section at the Homepage. Must pay application fee through suitable mode. Must keep one copy of an application form for feature use. Conclusion: Gujarat Subordinate Service Selection Board has issued notification for 2367 Supervisor Instructor Vacancies. Candidates may fill up their application form carefully from links given here for GSSSB Recruitment 2019. Are you looking for GSSSB Recruitment 2018? If Yes, It is the right place for you. Gujarat Secondary Service Selection Board has published notification for Clerk and Office Assistant Vacancies in Various Heads of Departments. Interested Applicants may apply online for 2221 GSSSB Vacancy 2018 from 12 October 2018. Here our team provided you qualification, age, and selection criteria details for Clerk and Office Assistant Post. eligible Candidates may fill up their application form before the last date that is 2 November 2018. For further more details such as application fee etc read below article carefully. Gujarat Secondary Selection Board has released notification for appointing candidates on 2221 Clerk and Office Assistant Post. Online Registration for GSSSB Recruitment 2018 has started form 12 October 2018 to 02 November 2018. Selected candidates will be placed at different Heads of Departments. Here we gave you gave you links to apply for GSSSB Clerk Jobs 2018. Candidates should download GSSSB Notification either from here or from official Website. Starting Date To Remember for GSSSB Vacancy 2018: 12 October 2018 at 2 P.M. Candidates should check here classification of vacancies for GSSSB Recruitment 2018. Here we gave you classify vacancies in two ways such as Department Wise and Post Wise. Here we gave you links to download GSSSB Notification 2018. Participants should check here eligibility criteria for Gujarat SSSB Vacancy 2018. Candidates who find themselves eligible for GSSSB Recruitment 2018 should fill application form from links given here. Here we gave you education, age, and pay scale information for Clerk and Office Assistant Post. Candidates who are going to apply for GSSSB Vacancy must have Knowledge of Gujarati and Hindi or Both. Applying Participants should be a citizen of India, other country’s citizen is not allowed to apply for Gujarat SSSB Vacancy 2018. Applicants should have basic knowledge of computer system. Aspirants must be HSC or Its equivalent qualified for are eligible for GSSSB Clerk Jobs 2018. Participants must be 18 years old and not more than 33 years as on 02.11.2018 are eligible for GSSSB Recruitment 2018. Upper Age Relaxation is applicable as per government rule. For further more details read official GSSSB Notification 2018 carefully. Applicants need to pay Rs. 100 + 12 Postal Charge as an application fee for GSSSB Jobs 2018. Candidates can pay their application fee through online mode such as by Credit Card, Debit Card, & Internet Banking. Participants should consult to official GSSSB Notification 2018 for more information regarding application fee. Aspirants will get select on the basis of written examination only for GSSSB Recruitment 2018. For more information regarding the selection process, applicants should download official Gujarat SSSB Notification 2018. Here we gave you direct links to apply for GSSSB Bharti 2018. The Department will pay Rs. ₹5200- 20200 + Grade Pay ₹1900 – Fix Pay – ₹19950 (7 th pay -₹19900 -63200) to the selected candidates for Gujarat SSSB Recruitment 2018. Participants should follow these steps to apply for Gujarat SSSB Jobs 2018. Candidates should fill up their application form carefully otherwise their form will get rejected. After filling up form candidates should pay their application fee. These easy & simple steps will help you in filling up a registration form for GSSSB Bharti 2018. Candidates should log on to official Website i.e gsssb.gujarat.gov.in. After that Click on GSSSB Recruitment Option at Homepage. Now open Gujarat SSSB Vacancy PDF. After that check the eligibility criterion before applying. Eligible Participants should apply online from here. Now fill up your details in application form. After that insert your photo & Signature in an application form. Now pay an application fee for GSSSB Jobs 2018. After that Click on the submit button for registration. Keep one copy of application form with them for feature use. Conclusion: Gujarat Secondary Service Selection Board has issued notification for 2221 Clerk and Officer Assistant Vacancies. Interested applicants should check here eligibility criteria for GSSSB Recruitment 2018. Last Date for online Registration is 02 November 2018 for Gujarat SSSB Jobs 2018. Dear Friends, If you are searching for GSSSB Recruitment 2017 notification you can rest your searches here. A little while back, Gujarat Subordinate Service Selection Board has announced 399 Vacancies for Medical Officer Post. The participants who are searching for jobs in Gujrat, here is a good opportunity for you. Candidates who have completed his/her Graduation can apply for GSSSB MO Vacancy 2017. The applicants who wish to apply for Gujrat SSSB Recruitment can fill application Form Online from here. Here we are providing the direct official links to fill the application form for GSSSB Medical Officer Jobs 2017. The Registrations for Gujrat SSSB Vacancy will be closed on 12th November 2017. Gujarat Subordinate Service Selection Board commonly known as GSSSB. The department has released a notification for GSSSB Recruitment 2017 for eligible candidates. 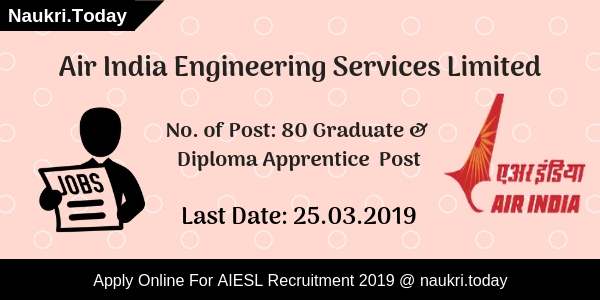 Applicants who are interested and have not applied yet can apply now from here at naukri.today. The participants will get all the essential details for GSSSB Medical Officer Vacancy 2017 in the coming article. You can check the information like eligibility criteria, pay scale, application fee, selection process etc. Staff Nurse (Ayurveda Service): These applicants should have Nursing Diploma in Ayurveda which is recognized by Gujarat Ayurveda Nursing Institute for Gujrat GSSSB Staff Nurse Recruitment. Homeopathy Medical Officer: Those contenders who holds Graduation degree in Homeopathy Medicine & Surgery (BHMS) will be eligible for GSSSB Medical Officer examination. Nursing Tutor: For this post must have a Degree of M.Sc. in Nursing or B.Sc. (Nursing) from recognized university/ institute. Royalty Inspector: Post Graduate degree in Geology/ Applied Geology or Mining Engineer Degree with 55% marks. For more detail should check GSSSB MO Vacancy Notification 2017-18. Participants who are gong to apply for Gujrat SSSB Medical Officer Vacancy should be minimum 18 years old and 45 Years old. The candidates can check the age age relaxation Criteria for GSSB Jobs from the official notification, links given in the end. The candidates who wish to apply for Gujrat SSSB Jobs need to apply the application fee. Applicants need to pay Rs. 100/- pus Rs. 12/- as extra fee for Computerized post office. Gujarat Subordinate Service Selection Board is going to conduct a written Exam for the applicants who are filling application form for GSSSB Jobs. The applicants who are going to apply for Gujrat SSSB Vacancy will have to appear for Written Test and Interview. To check more details about the selection criteria for GSSSB MO Recruitment 2017 you can refer the official notification links given here. Go on the official website i.e. gsssb.gujarat.gov.in. Now, Search for the notification GSSSB Recruitment 2017. Then, Open the notification and read the instruction carefully. If you are eligible click on apply online link. Fill all the details Carefully in the application form for GSSSB MO Vacancy 2017. Recheck the application form of GSSSB Jobs 2017. Press on submit Button and pay fee online. Download GSSSB Medical officer Vacancy 2017 Notification pdf. Conclusion : GSSSB Recruitment 2017 – 18 advertisement is now here on its official website. Candidates who are interested for GSSSB Vacancy 2017 can apply Online from here. The last date to apply for Gujrat SSSB Jobs is 12th November 2017. You can stay connect to check all the latest updates with naukri.today.